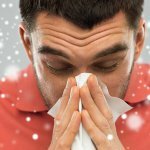 Good indoor air quality is a crucial part of you and your family’s health and well-being, particularly if there are allergy or asthma sufferers in your home. The good news is that achieving healthy air can be quite easy when you have a forced air system. There are a number of different air purifiers and filters that can be seamlessly added to your air distribution to trap and kill airborne particulates. Mechanical filters come in square frames and most (but not all) fit into the space where your standard mechanical filter resides. Learn how to choose the right filter in our Air Filtration Guide. 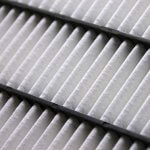 Mechanical filters use different kinds of materials to act as a sieve and filter out particles from the air. Typical particles trapped by a mechanical filter are hair, dust, dirt, and some mold and mildew spores. Filters with higher MERV ratings can also strain out some bacteria and viruses. 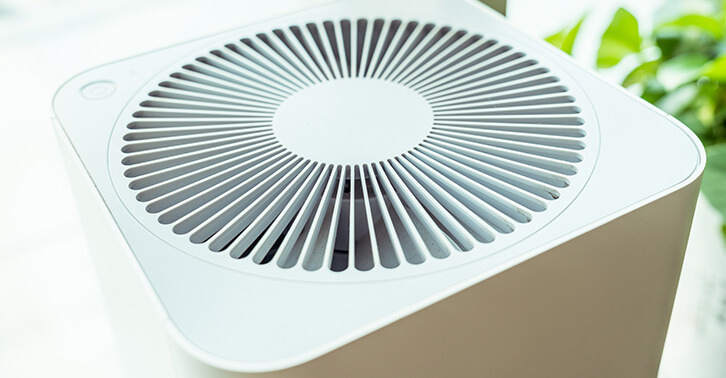 However, there are some particles air filters cannot capture, so you may want to consider using an additional type of air purifier with an air filter. Electronic air cleaners provide a polarized charged to capture and remove airborne particles. Both of these air cleaners use small amounts of electricity to charge particles, but each does so in its own way. Ion generators disperse ions into the air. These ions attach to the particles with which they come into contact. These charged particles are then attracted to the surfaces of your home and land there. 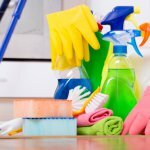 When you clean the surface, the particle is removed. Electronic precipitators also use ions to charge particles, but do so by drawing the air into an ionization section. Once inside the ionization section, the particles are charged, and then collected on oppositely-charged metal plates. UV germicidal lights kill biological contaminants by scrambling their DNA.The UV-C rays destroy the DNA of cells, killing the life-sustaining proteins of the cells. The end result is that biological contaminants are eradicated because they can’t survive or reproduce. UV lights do not have the ability to filter anything, so they should be used in conjunction with an electronic or mechanical air cleaner. If you are concerned about your indoor air quality, don’t hesitate to Ask a Champion.